Good morning! Day 2 of my adventure in blog land. Started out today with my favorite breakfast that I have not had in months and man was I missing out! Yes it is VERY simple but that is way it’s a fav! 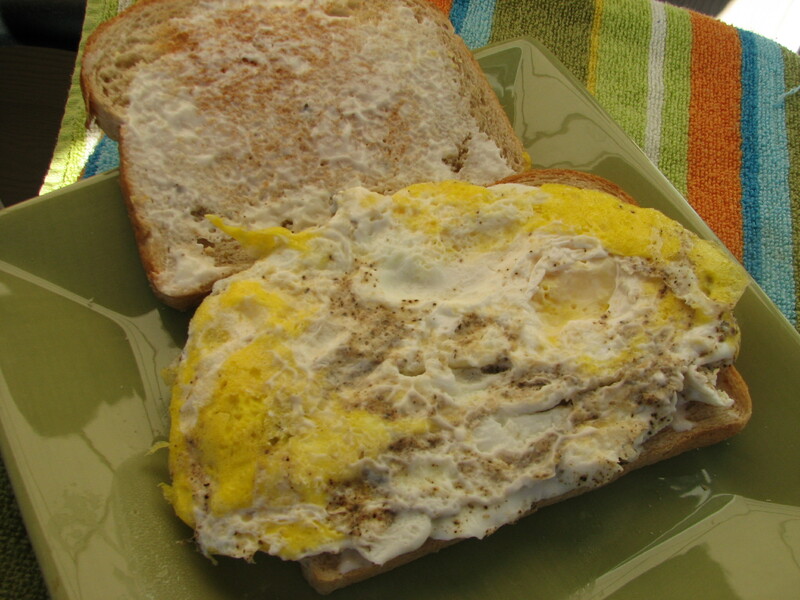 A couple pieces of toasted bread covered in mayo (I LOVE MAYO) and 2 eggs salt & peppered to taste. YUMMY!! Another great find I would like to talk about is the Hummus I had for my snack today and the best part is it’s organic 🙂 The flavor that is by far the best is Sweet Roasted Red Peppers. I dipped with some pretzel sticks, great combo. Whenever I eat pretzels all that runs through my head is “These pretzels are making me thirsty” from Seinfeld. 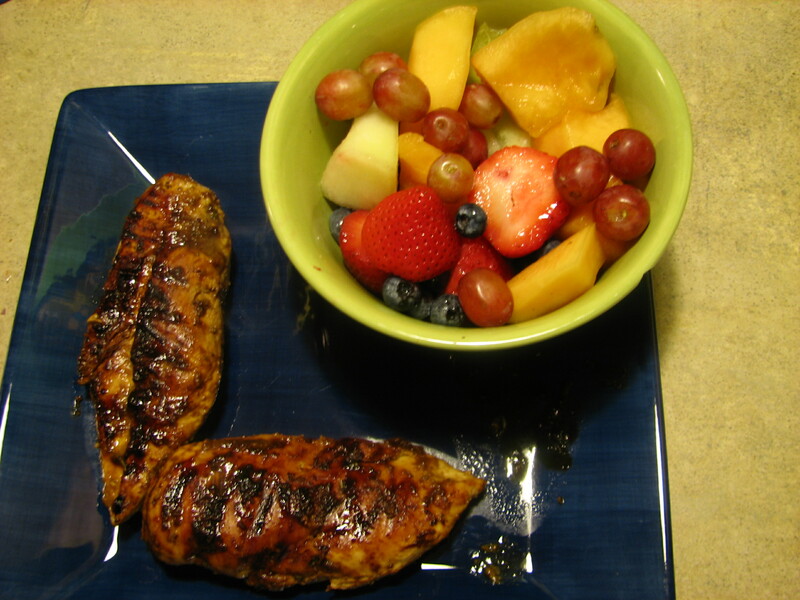 On to dinner…Grilled Chicken w/ Fresh Grape Glaze and a fruit bowl. 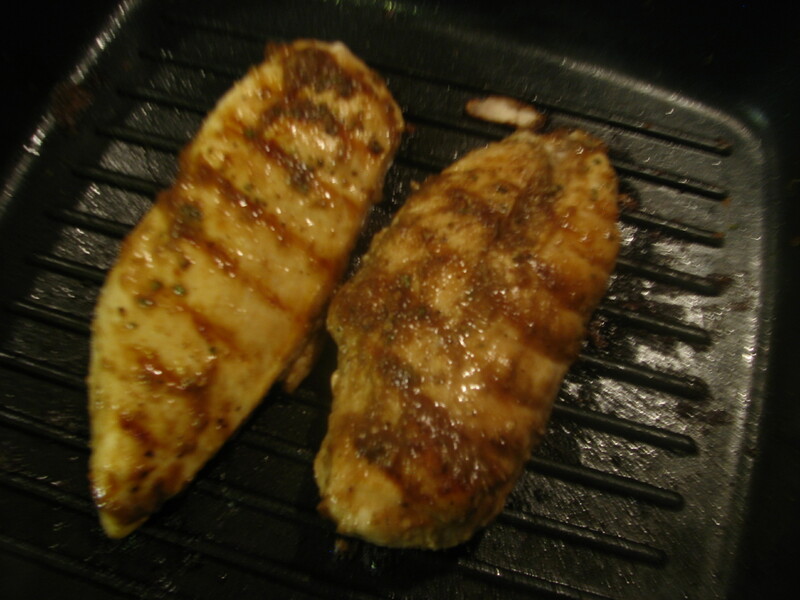 The recipe is stolen from Cooking Light again. Started off by making the grape glaze. Even though this picture was inside this is actually what it looked like. I know does not look appetizing. 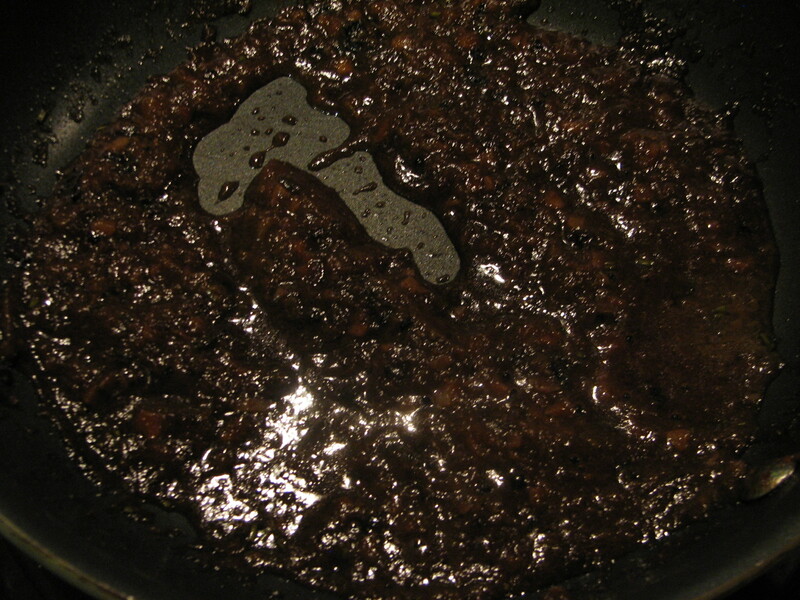 Blended some grapes while cooking onions and garlic then combined with fresh rosemary, soy sauce, balsamic vinegar and brown sugar. I then re-blended after the mixture thickened up and it turned out a dark purple. Cooked on the stove top for 25 min basting and turning constantly and let me tell you this was the first time that the chicken was actually fully cooked in time! This dish was platted for the vacationer that I so do miss! (Put the chicken in a L) When I was reading the reviews for this dish I was scared to try it but the glaze turned out AMAZING I got a little bit of the rosemary taste and a good amount of the grapes and I LOVE GRAPES!! Before dinner I ran 6 miles and my splits were pretty exciting but I was DEAD at the end. Anyone know this movie quote? [Women] Our love fern! You let it Die! [Man] No, honey, it’s just sleeping. I’m a big fan of the chick-flicks just to let you all know! 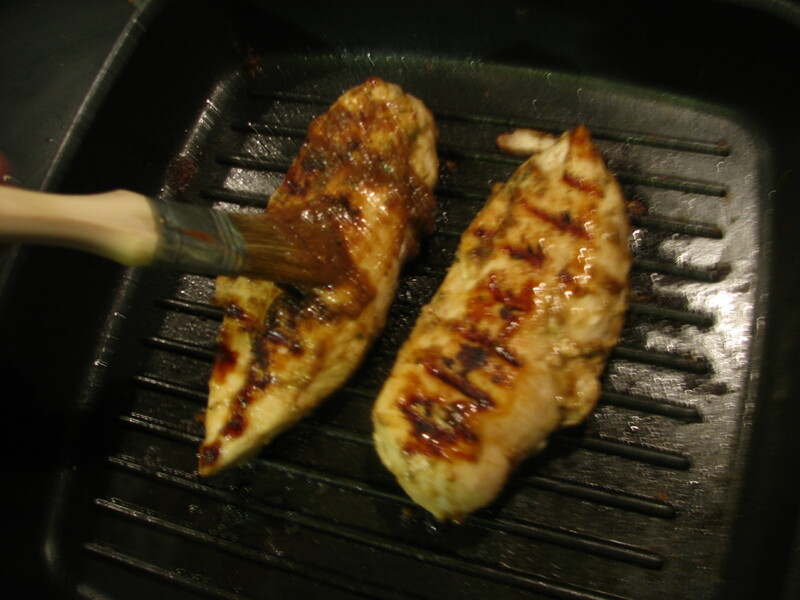 Grape glaze on chicken sounds intresting! Glad you knew the quote it was an easy one! Yes it sounded weird to me at first but had to try it and I’m glad I did! Can I tell you that I am so excited that you used the word “fav”? And your eats look delish! Tons of protein!